More than 150 medical groups sent a letter opposing a government plan to consolidate evaluation and management (E/M) codes, saying it could underpay doctors who treat the sickest patients. In a letter sent to Seema Verma, administrator of the Centers for Medicare & Medicaid Services, the groups — including the American Medical Association and the Medical Group Management Association — said they oppose the plan that would collapse payment rates for eight office visit services for new and established patients down to two each. “It could hurt physicians and other healthcare professionals in specialties that treat the sickest patients, as well as those who provide comprehensive primary care, ultimately jeopardizing patients’ access to care,” the letter stated. In addition, a broad coalition of patient advocates, made up of 126 patient and provider groups, sent their own letter to CMS urging the agency not to move forward with the plan because of negative impact on patient access. According to FierceHealthcare, the proposal made in CMS’ proposed rule for the 2019 physician fee schedule has been controversial from the start. Further, the letter stated that although they support some of the proposed changes in documentation requirements, they said the plan to put in one payment level no matter the complexity of a patient visit needs more work. The organizations said they support the AMA’s creation of a workgroup of physicians and other health professionals with expertise in coding and who use the codes to bill for services to Medicare patients to come up with solutions. “The medical community wants to help CMS work through the complicated issues surrounding the appropriate coding, payment and documentation requirements for different levels of E/M services,” the letter stated. The workgroup would be tasked with analyzing the E/M coding and payment issues and arriving at concrete solutions in time for implementation of the 2010 Medicare physician fee schedule. 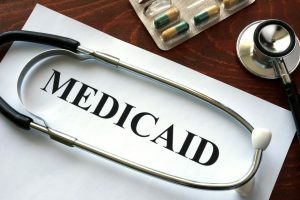 The organizations also urged CMS not to adopt a proposed new multiple service payment reduction policy, as they said the issue of physicians providing multiple services on the same day of service was factored into prior valuations of the affected codes. “The proposal also has significant impact on certain services, such as chemotherapy administration, that may be an unintended consequence of altering the current practice expense methodology to accommodate the proposal,” they wrote. But there were proposals the groups liked, saying they support CMS’ “Patients Over Paperwork” initiative and appreciated the outreach to physicians and other healthcare professionals. Changing the required documentation of the patient’s history to focus only on the interval history since the previous visit. Eliminating the requirement for physicians to re-document information already documented in the patient’s record by practice staff or by the patient. “Implementation of these policies will streamline documentation requirements, reduce note bloat, improve workflow, and contribute to a better environment for healthcare professionals and their Medicare patients,” they wrote. The CMS plan, released in late July, is now open for public comment until early September. CMS hopes to enact any changes to the Medicare fee schedule on Jan. 1, 2019.